A woman called me one morning asking for a Standard Land Survey on her property in my town. She and her hus-band lived out of state and had purchased the lot in question at a tax auction some four years earlier. They had purchased the land speculating that they could sell it sometime in the future at a profit.They had viewed the land prior to their purchase and she told me that they were under the impression that there was a small old house on it. They assumed the land and house they had looked at was the land they had purchased in the auction although they had not had a land survey performed.Her husband had passed through my town in the last month or so and had been out to what they thought was their property. Her husband had been surprised to find a new home on the land with people occupying it. The people occupying the lot told him to get off their land and refused to speak with him about the property. I urged this woman to get in contact with the people occupying the land and exchange information on the property in question. A contract between us was executed and I started work on this project. The lot in question was in an old sub-division from the 30s that I was somewhat familiar with. The subdivision was composed of deep narrow lots with blocks over a thousand feet wide measured in an east-west direction. Some of the streets dividing these blocks had never been opened. Other streets had been opened through the blocks within this subdivision from adjoining subdivisions with the lots being sold to the city for street purposes. I began examining the old sub-division map and at first glance it appeared to show all the lots at the same width in an east-west direction. However, upon further review the old recorded subdivision map had very small dimensions at the extreme north boundary and the extreme south boundary of the subdivision which indicated that the lots were all of varying widths between 60 and 70 feet measured in an east-west direction. I could not imagine that somebody would have built a new home on the wrong lot but determining the location of the land in question would be a little harder than I had first thought. A field crew was dispatched and they spoke with the people occupying the land in question as they were gathering evidence. The people occupying the land agreed to let my field crew access the property for the purpose of the survey. The initial review of the field evidence was inconclusive but strongly began to suggest that the people who had the new home had built it on my client‘s lot. I began to pull the records for a chain of title on the lot in question and the adjoining lots to see if this would shed some light on the problem. In the meantime I sent the field crew back armed with a preliminary mathemati-cal projection of what I thought the subdivision should look like based on the initial field data. Deliberate searches were then performed at the block corners and lot corners within the block in question and surrounding blocks to find more evidence.The field crew was finding some monuments at the search locations so I went out to the site to look at the evi-dence myself. I was out in the field when I received a phone call from my client. She said that she had obtained a copy of a survey from the people occupying the land in question. She said the people occupying the land had told her that this survey map proved they had built their home on the lot they owned. With the new field evidence I reached a conclusion as to the location of my client‘s lot. There was overwhelming evidence that the people who had torn down the existing home and built a new one had done so on my client‘s lot. They actually owned the adjoining lot to the east of my client‘s lot. It was with a heavy heart that I opened the email my client had sent. I did not relish the idea that some other Professional Land Surveyor may have surveyed the wrong lot and caused this problem. However, I was surprised when I viewed the "survey" forwarded from the people occupying the wrong lot. It looked very official with measurements and information like what you would see on a Land Survey but was in fact a digital tax map superimposed over an aerial/satellite photograph. A review of the official county tax map revealed that whoever had created the map had failed to notice that the lots were of varying width in this subdivision measured in an east-west direction. Whoever had plotted and digitized the official county tax map had simply given the lots all the same width causing a shift in the de-picted location of the lots and their actual location on the ground by as much as 60 feet in either an east or west direction as you traveled across the block the subject lot was located in. This made it appear as if the lot these people had built their home on was the lot they owned on the official county tax map. I was relieved that a Land Surveyor had not caused this problem but I was very shocked that this "survey" that was not a Land Survey had created this apparent mess. I sent a field crew out to stake the lot corners that were missing and I began to draft the final version of the Standard Land Survey for my client. My field crew contacted me from the site in question. The field crew had finished placing the boundary stakes but the people occupying the land, who had seen where the stakes were falling, were telling them to leave their property. I released the finished survey to my client and with their permission transmitted a copy to the people actually occupying the lot in question. I urged my client to consider some alternative to legal action such as exchanging a quit claim deed with the people occupying the lot for a quit claim deed to the adjoining lot which these people actually owned. The adjoining lot however was vacant and my clients had purchased a lot with a house on it, a house they planned to try to eventually renovate and sell. The people who had built their home on the wrong lot because of the erroneous "survey" had torn that home down to build the new one that was now on the wrong lot. It was a mess of epic proportions. I recommended a good real property lawyer I knew but to say my client was distressed by what I had discovered would be an understatement. course of the survey I performed. The phone calls have now ceased and I have not heard from anyone regard-ing the matter for a couple of months. I don‘t know how this matter was resolved or if it was resolved. I must confess being shocked however regarding this "express disaster" and I wonder how a Professional Land Sur-veyor in Texas has been allowed to be displaced by a composite of GIS information that has no basis in reality. Is not the role of the Professional Land Surveyor to protect the public? How do I protect the public if they are allowed to injure themselves before I arrive on the scene? Is not one of the purposes of a professional Land Survey to reduce litigation? 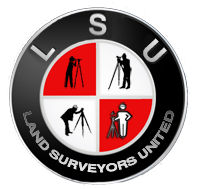 The fees I charge for a professional Land Survey will have to increase fivefold if every simple lot survey I perform becomes an exercise in real property litigation. Is this fair to the public? (This article appeared in the Journal of the Gulf Coast Surveyor, April 25, 2011, and was written by Deward Karl Bowles under the pen name Penn Cheneying).